With the world’s tenth largest economy, Mexican growth at between four and five percent over the past few years is considered well below its potential. The World Bank reckons less than 2 percent of Mexico’s population lives below the international poverty line but the Mexican government estimates a third of its population in moderate poverty and some ten percent of that in extreme poverty. Competing with Brazil as Latin America’s largest economy, the country has vast disparities of income, including between those more prosperous states bordering the U.S. Mexico City and the south. Pemex gas station in Mexico City. Growing remittances, largely from the U.S.’ southwest, are an important part of the country’s income, more than $22 billion in 2012. But all this produces tax revenues of less than 20 percent of GDP , the lowest among the 34 OECD countries. Although Mexico is the sixth largest oil producer in the world, its exports have fallen from just under 62 percaent of total exports in 1980 to just over 7 percent in 2000. Most observers agree this is a result of the inefficient monopoly over its oil resources and distribution by Pemex which has neither the capital – even though it provides more than 60 percent of government revenues – nor the technology to expand to meet domestic and foreign demand. But long the holy of holies for Mexico’s left, opening it up to competition and collaboration with foreign oil companies has been fought at every step since the 2014 decision was made to privatize at least some aspects of the monopoly. Now the government has announced it will allow private companies to import gasoline for the first time since the late 1930s. That will permit the country’s independently owned 11,400 filling stations now all bound to Pemex franchises to link with other companies. The government had already permitted Pemex to form joint ventures with foreign companies to explore for more oil and increase production. But that may be years away given the bureaucracy and the long neglected technological aspects of the company. Opening service stations to other franchises is going to be the most visible aspect of the new more liberal strategy and, hopefully, encourage faster development of the whole process. London-based Gulf Oil International already has plans to slap its Gulf de Mexico brand on a few stations in the largest cities, to expand to a wide scale national network. 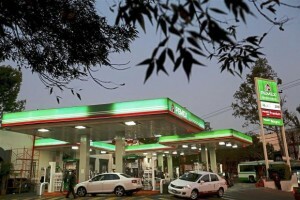 Motorists will be enthusiastic because of the poor service of most Pemex stations including shortchanging customers according to widespread convictions by Mexico’s consumer-protection agency. Still, it is going to be a slow process. Mexico already imports more than half of its daily consumption of gasoline from the U.S. because the country has only six refineries. Pemex controls virtually all of the oil and gas infrastructure — pipelines and storage facilities — and the government is encouraging investors to expand the infrastructure to supply the newly freed stations. .
With trade running at well over $530 billion in 2015, the U.S.’ number three trading partner, American have a special interest in seeing more rapid liberalization and growth of the Mexican economy. Mexico, whose free trade pact with the U.S. produced a trade surplus of nearly $60 billion last year can afford to see an increase of U.S. imports – along with an accompanying investment and technology transfer for what has become its dormant oil industry. Hopefully, the Obama Administration will be pushing these developments ahead of its curious interest in the Cuban Communist dictatorship.